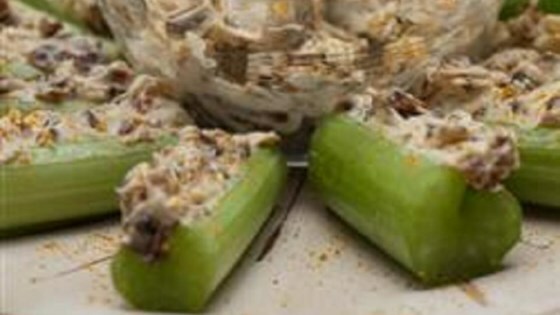 "I developed this recipe after wanting something different to serve with celery. First party I took it to it was a hit, and people were asking for the recipe. This is my new standard for an appetizer. Hope you enjoy!" Mix cream cheese, raisins, apple, curry powder, and lemon juice until smooth. Spread onto celery. If you have people who do not like curry, substitute dill. This will also work if you make some with dill then add the curry for the rest. I made this as part of a Indian dinner,it was excellent. Great as an appetizer,or salad part of your supper. Very easy to do.